I can't take credit for this fabu project, my grandmother came up with the idea and just needed a set of willing hands to put it together. 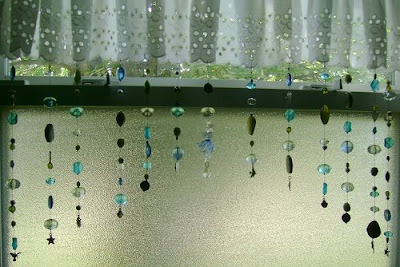 She recently redid her guest bathroom and wanted a beaded curtain as the finishing touch. Measure out the size of your window, not the curtain. Lay out a towel, fold to the size of your window. Starting from the center, layout your design. It's like decorating a Christmas tree, after you have the design laid out, move the beads around until you find a good balance of colors and sizes. String a crimp bead and a charm unto the beading wire. String the wire back through the crimp bead and flatten* the crimp. String on one bead. 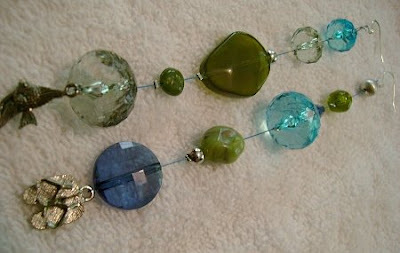 Leave a space on the wire by holding it and string on a crimp, flatten, add a bead or two. Repeat this until the desired length. Add a crimp, string through an earwire hook, back through the crimp. Flatten the crimp and trim the wire. *Why flatten? 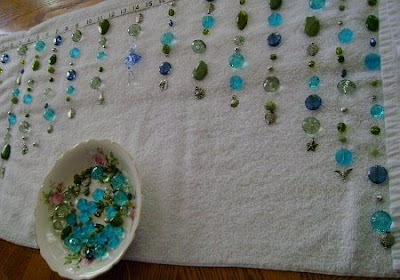 The holes on the beads are larger and flattening the crimp holds them nicely in place. After your design is strung hang the earwires evenly spaced on the curtain. This is gorgeous! Thanks for the great idea! Taking a shower in style. I'd feel like royality. Turn out great. Creativity runs in the family. 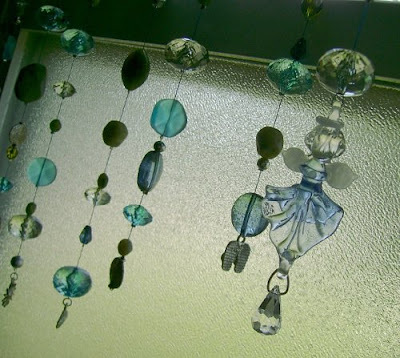 This bead curtain project using ear wires is genius! Removable for washing ... how smart. 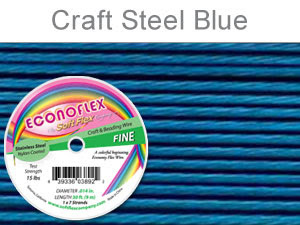 Beautiful color choice in Econoflex! What an awesome idea! 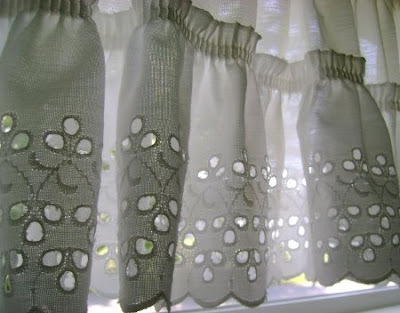 Love the fact you can remove them so you can wash the curtains. So clever! It's fabulous, I just love this! And so easily customizable to any decor. I'll be linking. Hi, what a awesome idea that your grand-mom had! It looks great! I really love it! the best part was making it together. she had fun arranging the beads just so while I strung them. thanks for the compliments, I've passed them along to her. 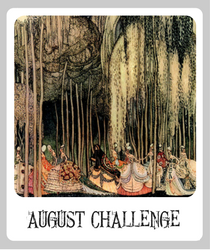 I have just added your beautiful project to my luscious link love for this week! AWESOME IDEA!!! Would love to do this in my kitchen, have lots of big windows with lots of sunlight. where do you place the earwire. do you pierce a hole through the bottom of the curtain? Grab Those Beads & Go!